Horses are beautiful, majestic creatures that symbolize freedom and power. At one point, wild horses roamed nearly every continent–now, most of them are domesticated. Humans recognized the power and potential in horses and decided to utilize it. Although horses no longer carry wooden carriages, they are used for ranch work, recreational use, police work, therapy, and racing. They are extremely valuable animals. If you’ve invested a lot of money into your horse, it’s likely you don’t want anything to go wrong. 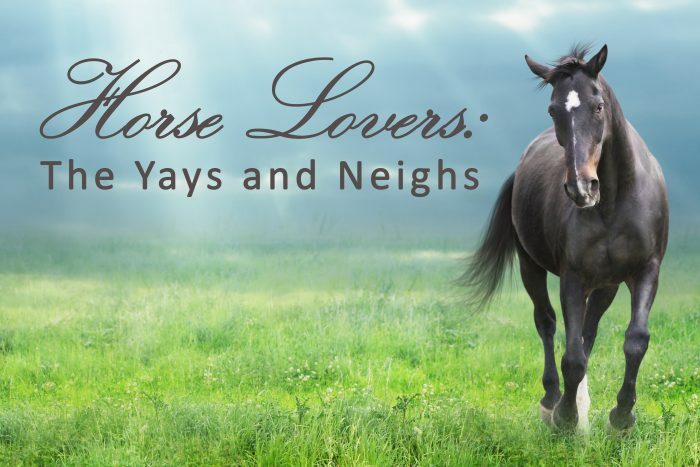 Here are the yay’s and neigh’s of owning a horse, also known as the do’s and don’t’s. Do find an agent that specializes in equine insurance. He or she will help you to understand your risks and needed coverages better. Do not assume that your average homeowner’s policy will protect your “property” (your horse.) If you take your horse to a show, you are not covered for injuries caused to another person. Do make an extra effort to find a way to prevent causing injury to your horse or your horse injuring others. Do not mistreat your horse, as it will reflect in its behavior towards humans and may result in an injury. Do ensure that your work area is consistently clean, and make sure any sharp tools are put away while not being used. Do not work in a tight space with your horse. Do wear appropriate gear for riding. Always wear a helmet. Never allow an unfamiliar person to ride your horse freely. If someone cannot adequately control your horse, they can easily get injured. Be confident, firm, yet gentle in your voice. Do not ignore your horse when it communicates back with you. Observe and assess your horse’s language to get a better understanding of its needs and desires. Do use good security systems to avoid thieves. Block easy access to your property, install motion sensor lights, permanently identify your horse, whatever action is possible for you. Do not leave stable and barn doors unlocked to prevent thieves from breaking in.